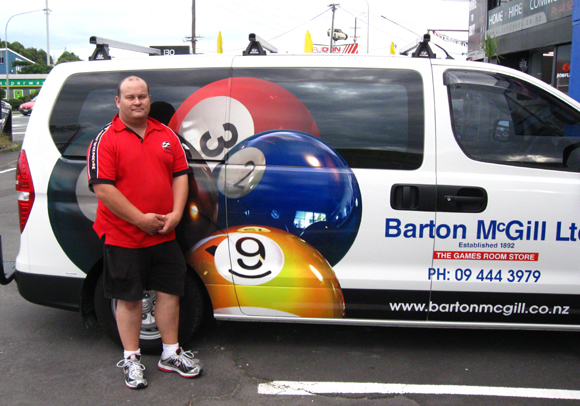 Barton McGill recovers & services all sizes and makes of Billiards, Snooker & Pool tables. **We reserve the right to offer a competitive quote that may not be lower than a quote you received from another person who has limited training or an unacceptable track record of experience or operates without the appropriate insurance. Barton McGill is committed to making your service requirements our prime concern. Once our Technicians are dispatched, you will be dealing with billiard table professionals trained and certified to deliver the best experience possible. “We promise to be the most competitive and the most experienced in all Billiards, Snooker & Pool table service and repair”. Kerry has over 25 years experience at Barton McGill Ltd . Starting as a Trainee in the art of billiard table making, Kerry has worked in all aspects of the billiard trade and specializes in servicing, recovery and tournament table set ups.